Hot Link XL controls gear up to 200 feet away with all the features of Hot Link Pro. 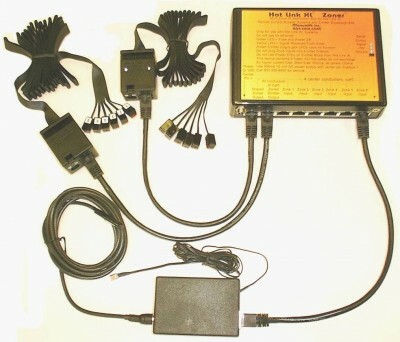 A complete single-box solution, Hot Link XL(TM) Remote Control Booster Systems come complete with Power Supply, Main Amplifier Box and Remote Emitter/Power Entry box, 6 Emitters and Receiver Eye. The Receiver Eyes of all Hot Link(TM) models can be extended to 25 feet using RG6 adapted to RCA connections. 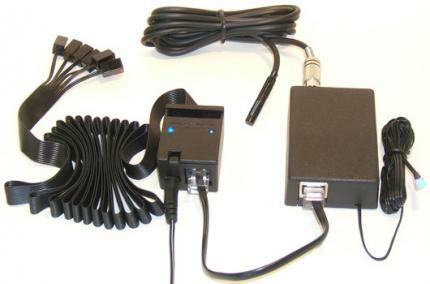 Cat-5 Jumper in box is 6 inches and can be changed to 200 feet. Our innovative design uses low-powered, directly attached emitters as opposed to the IR blaster option you may find in other solutions. Hot Link XL is compatible with a wide variety of systems such as PC IR remote controls and TV studio control room equipment, as well as more traditional home theater and AV equipment. 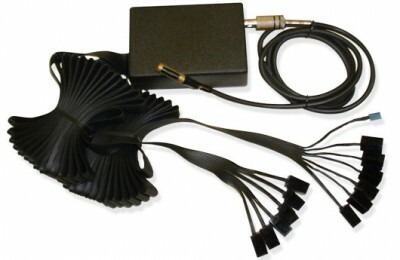 If your AV gear is hidden or remoted to another closet or room, Hot Link XL(TM) will allow you to control your gear using your existing remotes with no modifications, attachments, batteries, added radio noise, unsightly antennas or holes in fine furniture – and no need to use a radio frequency remote control extender. Your installation is clean with nothing showing and your equipment can be remote controlled while completely hidden. If your equipment is struggling with poor performance with remotes, Hot Link(TM) Remote Control Booster Systems will boost the performance of your remotes up twice the distance up to 70 feet. Many of our customers in America, Canada, Great Britain, France, Israel and elsewhere are amazed at the boost in remote distance performance and how macros run smoother with Hot Link XL(TM). Whether your setup consists of an LCD or plasma television, PC IR remote control for wireless keyboards or gaming controllers, or a professional AV system such as TV studio control room equipment, we are confident that Hot Link XL will help you stay in control and that you will find it superior to comparable radio frequency remote control extender and IR blaster-based systems. See When IR is Superior to RF. For Information on how the Hot Link XL IR blaster can extend your PC IR remote control and tv studio control room equipment, call 800.999.8846.